It’s been a busy and exciting time for LegaSea. We’ve had great conversations and support from the many passionate fishers at the Hutchwilco Boat Show, during the successful Marlin campaign and people entering our “Money Can’t Buy” competition. The support has been fantastic. On our stand at the Hutchwilco Boat Show we talked to lots of people about what’s happening in the wonderful world of fisheries management, including what’s coming up with snapper bag and size limit reviews and our fight to keep marlin out of the quota management system. People appreciated us bringing these issues to their attention and the opportunity to voice their concerns. Thank you to the organisers of the show for your support for LegaSea, nice one team. 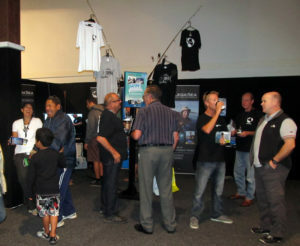 We recruited many more people on to FreeFishHeads.co.nz. Some of the stories people shared with us at the Boat Show were amazing. Entire communities being fed with the “proceeds” of fishing competitions and other grateful recipients bursting into tears with gratitude. What was most impactful was the humble sense of pride people felt when they shared this precious food with people in their local community. At the boat show we launched a “Money Can’t Buy” fishing competition. It is a celebration of what we’re fighting for, a great day out on the water fishing! 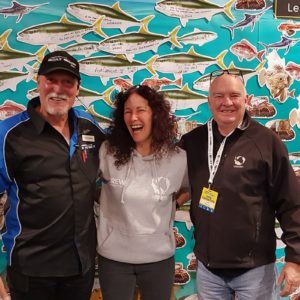 Working with our Gold Sponsor Wave Dancer we’ve put together a beaut fishing trip on Wave Dancer charters for you and three mates hosted by Sir Graham Henry. Plus each winner receives a fantastic prize pack including a Working with our Gold Sponsor Wave Dancer we’ve put together a beaut fishing trip on Wave Dancer charters for you and three mates hosted by Sir Graham Henry. Plus each winner receives a fantastic prize pack including a Fin Nor soft bait set & cap, a Catch Jigging rod, Reel Adventures t-shirt and LegaSea polo shirt. It’s valued at over $3000. The competition runs until the end of July so enter your team now, and good luck! Straight after the boat show we swung into action launching a campaign to stop marlin being added to the quota management system. Our fisheries management team at the NZ Sport Fishing Council were only given 10 days notice to prepare for a significant meeting where the management of marlin was under review by the Ministry for Primary Industries (MPI). 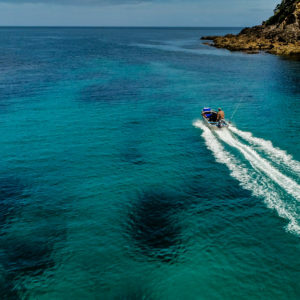 The team pulled together a compelling argument but from past experience we knew this wouldn’t necessarily secure the right decision for recreational fishers. To amplify our case LegaSea asked people to voice their opinion to the Minister, Nathan Guy, by sending a letter from our website. Within three days over 3000 letters were sent and within three days the Minister backed down and publicly announced no changes to marlin management would be made. Thanks to the MPI and the Minister, Nathan Guy, for having the foresight to make this decision. This was a fantastic result and really shows the power our united voice can have. 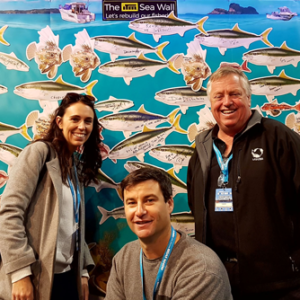 Thank you to all those people participated in the campaign including the NZ Fishing News who sparked a strong collective to push our cause within all fishing media. 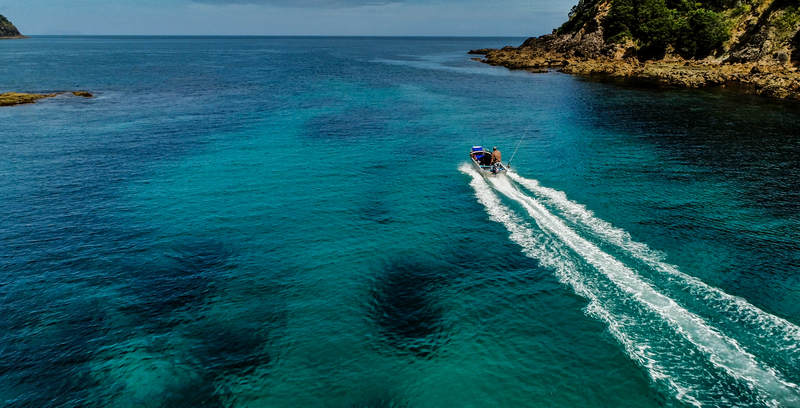 LegaSea, as the public outreach arm of the NZ Sport Fishing Council, is here to raise awareness of the issues facing us all, and to help resource the valuable work that needs to be done to secure our fishing future. There’s more work to be done. There are more issues coming our way. 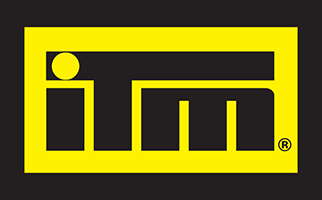 If you haven’t already, please sign up to make a regular monthly contribution. 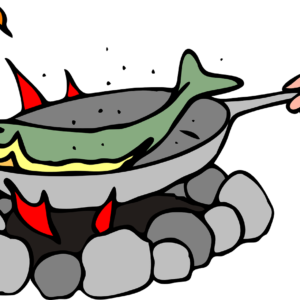 Options start at only $5 – that’s less than a bag of bait or a cup of coffee!